Whether you are starting a new practice, adding a satellite office, or relocating an existing office, you will be faced with real estate issues which need solutions. The choices you make will effect your practice for years to come, and those decisions will have a direct impact on your practice’s bottom line. Real estate is an important item to any practice’s profit and loss statement as it generally represents the second largest expenditure for a practice next to personnel expense. It is, therefore, extremely important to ensure that your real estate decisions are well thought out and carefully executed. The challenge for any medical office search is that you must conduct and implement the process while the practice continues to function. This necessitates that either a doctor or a staff member allocate a significant amount of time time to the process which invariably comes at the detriment of normal practice operations. Even if you can sucessfullly divert time from daily practice operations, your practice probably does not do enough real estate to have the in-house expertise necessary to negotiate the best lease terms. The solution is to bring in an expert who will take the time consuming aspects of the search process off of you and your staff, saving you time. Such a medical real estate specialist, one who is truly qualified, will also possesses the experience and market knowledge necessary to conduct an effective search and lease negotiation. This will lead to more favorable lease terms which will save your practice money. HealthOne is a specialist with more than 30 years experience. As a medical specialist, we monitor a range of issues and regulations specific to medicine in areas such as healthcare reform, Stark Laws, HIPAA and CONs to ensure that the latest regulations are incorporated into your office space. HealthOne has an extensive computerized database with data on medical and dental office buildings throughout the Greater Atlanta metropolitan area. 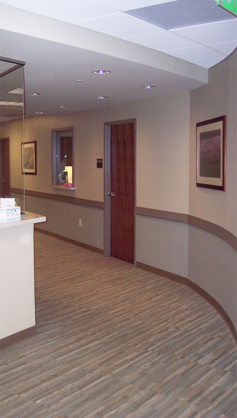 We also track leasing trends specific to medical office space which enhances our clients’ negotiating position. Like you, our future is dependent on medicine. If given the opportunity, we will work hard to represent your interests and exceed your expectations. When you have a lease expiring, even if you intend to renewal. When you need to relocate your main office or establish a satellite location. When circumstances dictate that certain real estate is no longer needed. When you are considering your own building.